National Daiquiri Day aka Chef Ashley Simone's Birthday! 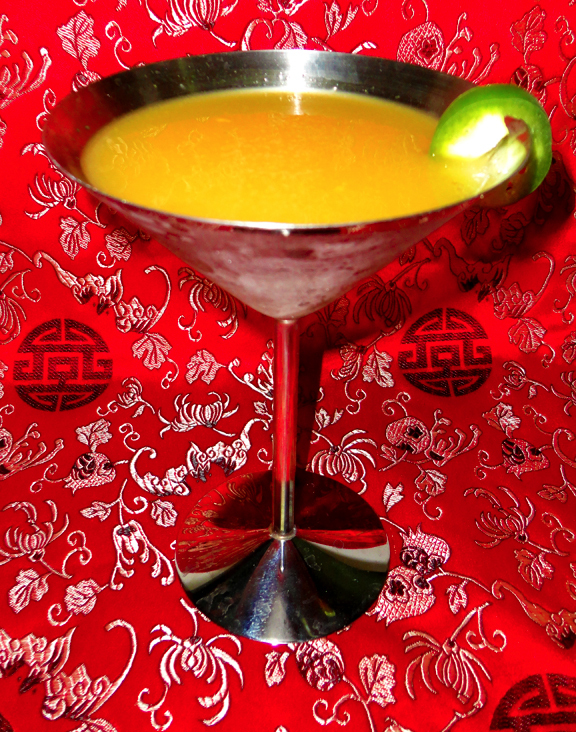 Add rum, lime juice, ginger-jalapeno syrup and mango puree to a cocktail shaker filled with ice. Shake vigorously and strain into a chilled martini glass. Garnish with a wedge of jalapeno. Enjoy. Bring honey, water, jalapeño and ginger just to boil in small pot. Reduce heat and simmer for 5 minutes. Remove from heat. Cool and strain. This syrup will keep for 3 weeks in the refrigerator in a sealed container. Okay. You know lemonade. Who doesn't love lemonade in the summer? And--great news--it's easy to make from scratch! Yes. You. Forget the box mix. But if you want to push lemonade closer to a foodgasm, here's a little recipe I developed that will make you the star of the porch party or the block party, or whatever other party you might have. And what is going to set this lemonade apart from all others? An aromatic herb you may never have thought of drinking. Lavender. From my backyard, lavender for my drinks. Now when you think of lavender, maybe the only thing that comes to mind are sachets your grandmother used to have. But lavender, has been used for culinary tasks for generations. Ever heard of Herbes de Provence? 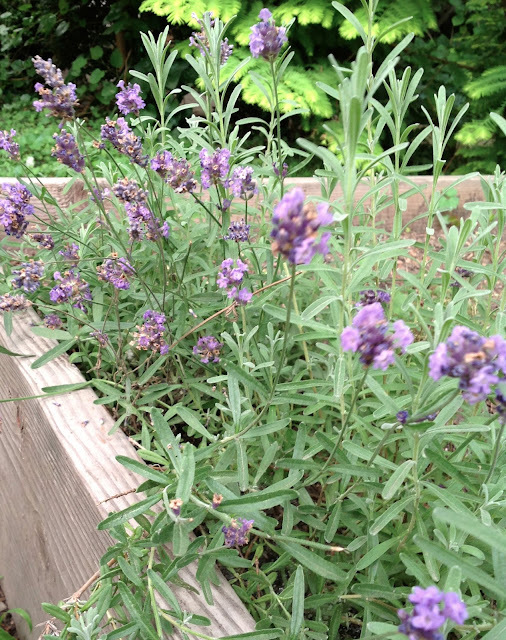 This blend of French herbs usually includes lavender. You can find lavender in some tea blends. Or maybe lavender sugar for confections. And now, you can have lavender in your lemonade. Or, if your prefer a more adult drink, I've also done a recipe for a lavender lemon martini. For either of these two drinks, you need to start with a lavender simple syrup. Bring the water and lavender flowers to a boil in a saucepan. Then add sugar and honey. Stir constantly until the sugar and honey is completely dissolved. Reduce the heat and allow to simmer for 5 minutes. Remove from heat, cool, strain and store in a glass bottle or use immediately to make the Lavender Lemonade. If storing in a bottle, keep in the refrigerator. It will store up to a week. 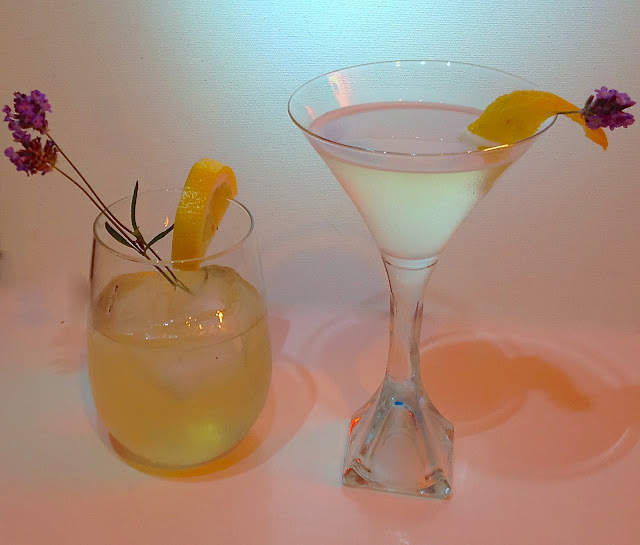 Lemonade or Lemon Martini--both with lavender for spectacular drinks! In a large pitcher combine the water, lemon and lavender syrup. Stir to combine. To serve, pour over glasses filled with ice or use to make the Lavender Lemon Martini. Measure both ingredients into cocktail shaker with ice. Shake several times; pour the chilled and strained beverage into your favorite martini glass.